It's all in the details. Slip into this burgundy confection with tiers of miniature pleats while the ultra-feminine scooped neckline creates a lovely frame for a scarf or statement necklace. 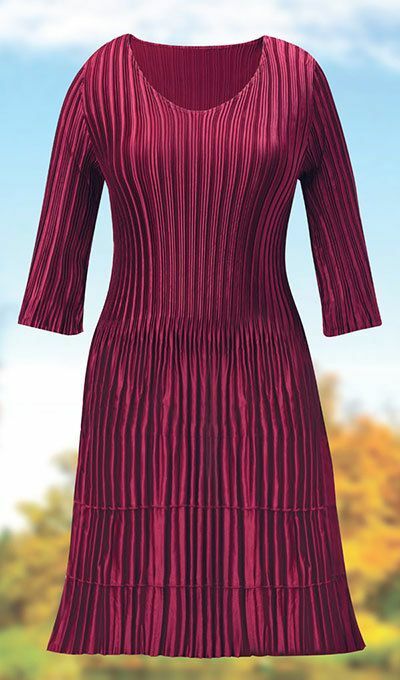 Pleated three-quarter sleeves offer easy movement while the mini pleats throughout make for a flattering fit. Polyester satin. Machine wash. Imported. One size fits most. Misses, approx. 40"l.